The antics of Leonardo, Donatello, Michelangelo, and Donatello were always going to be perfect for a franchise. Not only does it give a chance for adults to take a nostalgic trip down memory lane to their infancy when they used to watch Teenage Mutant Ninja Turtles in cartoon and movie form, but it allows them to introduce the heroes in a half-shell to their offspring, too. But what are the chances that Teenage Mutant Ninja Turtles: Out Of The Shadows will be followed by another sequel? Well, according to its cast, that’s the plan. I had the opportunity to sit down with the cast of Teenage Mutant Ninja Turtles: Out Of The Shadows last month, where I asked them about the potential of a Teenage Mutant Ninja Turtles 3. 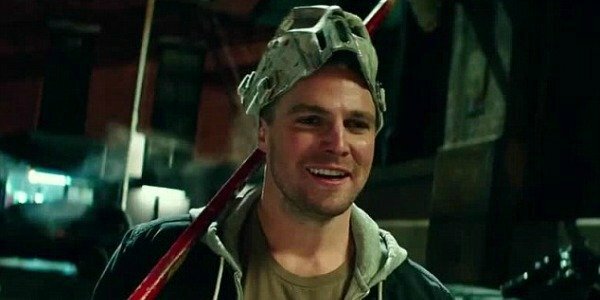 And having only just made his debut as Casey Jones in Out Of The Shadows, Stephen Amell admitted that he is far from done playing the hockey stick-wielding vigilante just yet. I think the idea with franchises now is if it’s successful, they’re going to keep doing it. I know that they certainly have the right to bring me back for an additional one. I had such a good time filming this movie, and filming in New York City, that I’d be happy to come back. While Out Of The Shadows did a very good job of introducing us to Stephen Amell’s incarnation of Casey Jones, it also left plenty of room to take the character down some interesting avenues, especially when it comes to his dynamic and relationship with Megan Fox’s intrepid reporter, April O’Neil. Of course, Stephen Amell will have to find room in his rather hectic schedule to reprise his role. Most of the Canadian actor’s time is made up of playing Oliver Queen/Green Arrow on Arrow, which he’s now been doing for four seasons, and he’ll return for a fifth later this year. I’m sure they’ll be able to find a gap in his schedule, if necessary. You can check out a snippet of my discussion with the affable Stephen Amell regarding the chances of Teenage Mutant Ninja Turtles 3, below. But Stephen Amell wasn’t the only member of the Teenage Mutant Ninja Turtles: Out Of The Shadows cast to indicate that they’d want to return for further antics. Because two of the franchise’s newest villains have insisted that if they’re not asked back then they will be downright furious. Click onto the next page to find out who. 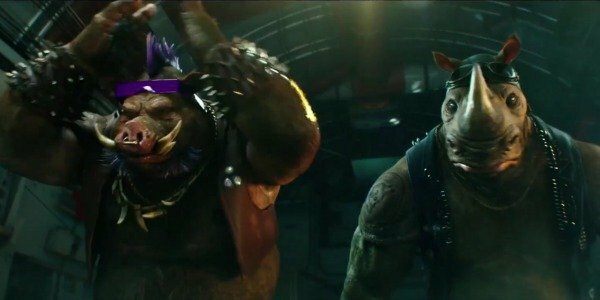 The introduction of Bebop and Rocksteady to the Turtles franchise has been anticipated ever since Teenage Mutant Ninja Turtles was announced ahead of its 2014 release. But while the casting of comedian Gary Anthony Williams and WWE wrestler Sheamus as the duo was initially a surprise, the pair form and showcase an impressive dynamic in Out Of The Shadows. Understandably, this is only the beginning for Bebop and Rocksteady, though, and it’s very much left open for the mutant warthog and rhinoceros to return further down the line. And this is something that Gary Anthony Williams and Sheamus are very much open to. In fact, Williams admitted he’ll get rather hostile if doesn’t happen. Gary Anthony Williams: I will fight them if we’re not. Hollywood, I would fight you in the face. Sheamus: We’d love to come back. I mean, I think there’s so much fun in those characters and we had so much fun doing it. Sheamus: I’m just over the moon to have been Rocksteady. I had so much fun, and I think there’s so much more to do. I think the movie gives you a great taste of Rocksteady and Bebop, but I think they’ll want so much more than that. Unfortunately for the twosome, at the moment it’s very much up in the air whether Teenage Mutant Turtles 3 will actually be greenlit. That’s because Out Of The Shadows only grossed $35.3 million in its opening weekend, which was over $30 million less than its predecessor. If we’re going to see a third installment to the franchise then Out Of The Shadows is going to need some substantial staying power at the box office. Because of its undeniable appeal to kids, there is an outside chance that could happen. However with Finding Dory less than two weeks away, it will need to get bums on seats quickly before the Pixar sequel inevitably blows them out of the water. Which is a shame, because Gary Anthony Williams and Sheamus were genuinely excited to reprise their roles as Bebop and Rocksteady further down the line. I mean, just look at them in the clip below. Their enthusiasm is palpable. Those of you who want to help Teenage Mutant Ninja Turtles: Out Of The Shadows in its pursuit for a sequel should head to your local multiplex now. Quick warning though, you’ll probably need to go two or three times to give it any chance of being provided with a follow-up.